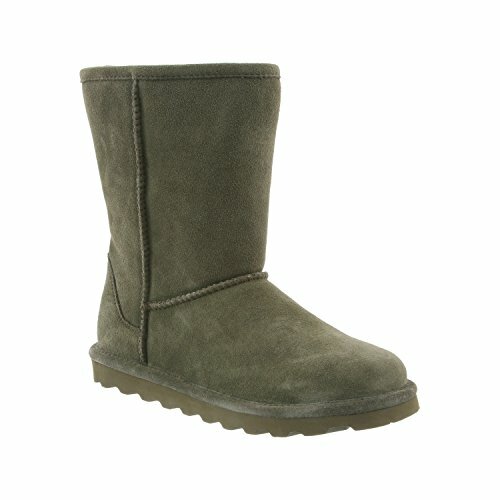 COMFY & COZY: With a cushy sheepskin footbed and wool lining, these boots hug your feet & keep them warm when it's cold outside. These booties are so comfy you'll want to wear them every day. WATER & STAIN REPELLENT: These stylish booties are treated with waterproof and stain proof "NeverWet Technology" to keep your feet dry and prevent stains and water damage on the soft suede. 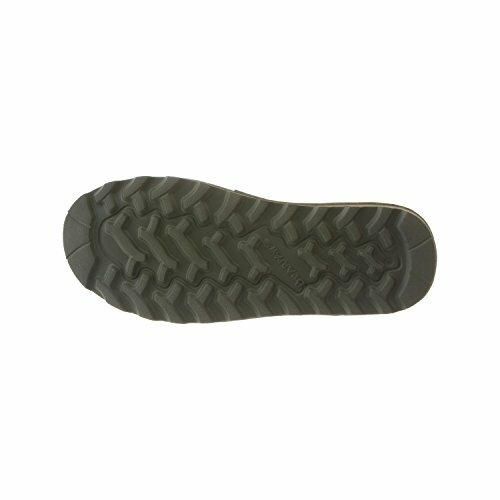 ALL WEATHER TRACTION: These durable, top quality boots feature woven heels, collar logos and a classic low profile TPR rubber wedge outsole that's lightweight and provides excellent traction. CLASSIC STYLE: This fun, fashionable footwear is the epitome of casual chic. A wardrobe staple, it can be dressed up or down depending on your needs, making it easy to coordinate with any outfit. PULL-ON & GO: No need to lace or zip these boots up. They're designed for busy women & girls on the go. You won't believe how easy & fun it is to quickly slip on these booties for effortless style. 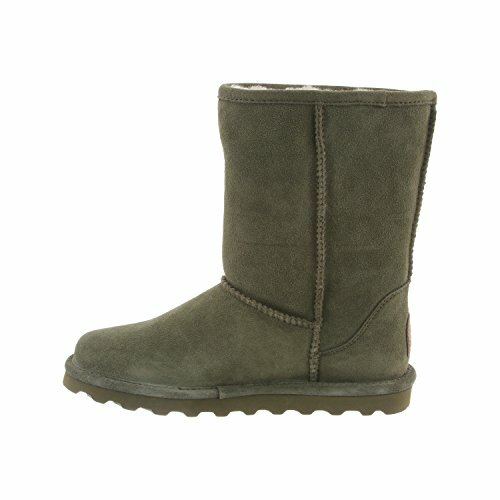 Short BEARPAW Boot Elle Olive Lined Distressed 8 Winter Women's Sheepskin Fur Congratulations!